Get the latest news headlines and daily current affairs with The Tutors Academy. 1. 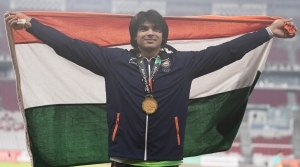 Neeraj Chopra became the first Indian to win a javelin gold at the Asian Games with a best of 88.06m in Jakarta on Monday. 3. The Doyang, Nagaland’s longest and biggest river emerging from the Japfu peak, flows northward through Kohima, Zuhneboto and Wokha districts. 4. Drones, their operators and pilots will have to be mandatorily registered on aviation regulator DGCA’s online portal, effective December 1. The use of remotely piloted aircraft, a kind of drone, is allowed for taking photographs, conducting surveys such as for laying of pipelines and agricultural purposes and surveillance, as per the regulations on remotely piloted aircraft system unveiled by the Ministry of Civil Aviation on Monday. Get the latest news headlines and current affairs from The Tutors Academy to prepare yourself for NDA, CDS, Navy, and AirForce. 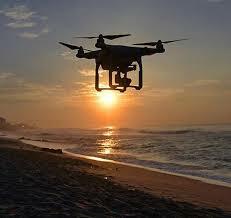 The rules bar use of drones for delivery of items. They can be deployed for spraying of pesticides and delivery of relief material during a natural disaster only on a case-by-case basis. Remotely piloted aircraft (RPA) have been divided into five categories – nano (less than 250gm), micro (between 250 gm and 2kg), small (between 2 and 25 kg) and large (more than 150 kg). 5. In a special gesture, the CBSE has decided to allow students in Kerala who have lost their marksheet, migration certificate and pass certificate in the floods, to retrieve them from its digital academic repository ‘Parinam Manjusha’. Over 1,300 schools are affiliated to the CBSE in Kerala. This academic repository has been integrated with DigiLocker. 7. India and Pakistan will resume their talks on various aspects of the Indus Waters Treaty in Lahore on Wednesday, the first bilateral engagement since Imran Khan took office as Prime Minister. India’s Indus Water Commissioner P.K. Saxena was expected to reach here on Monday for the discussions with his Pakistani counterpart, Syed Mehr Ali Shah, on August 29 and 30, said the Pakistani daily Dawn, quoting a government official. The last meeting of the Pakistan-India Permanent Indus Commission was held in New Delhi in March, during which both sides had shared details of the water flow and the quantum of water being used under the 1960 Indus Waters Treaty. The 1960 Indus Waters Treaty, brokered by the World Bank and signed by then Prime Minister Jawaharlal Nehru and former Pakistan President Ayub Khan, administers how the waters of the Indus River and its tributaries that flow in both the countries will be utilised. 8. External Affairs Minister Sushma Swaraj inaugurated the ‘Jaipur Foot’ camp here on Monday and met with 500 Vietnamese beneficiaries of the free India-made prosthetic limb. Ms. Swaraj is in Vietnam on the first leg of her four-day two-nation tour, which aims at deepening India’s strategic cooperation with Vietnam and Cambodia — the key countries in the Association of Southeast Asian Nations (ASEAN) region. Get the latest news headlines from The Tutors Academy to prepare yourself for all competitive exams. 9. Over 70% voting was recorded in the fourth general election to the Ladakh Autonomous Hill Development Council Kargil on Monday. Chief Executive Officer Vikas Kundal said 99 candidates, including candidates from the Congress, the National Conference, the PDP, and the BJP, were in the fray. 10. Myanmar’s military carried out mass killings and gang rapes of Muslim Rohingya with “genocidal intent” and the Commander-in-Chief and five generals should be prosecuted for the gravest crimes under international law, UN investigators said. In a report, they called for the UN Security Council to set up an ad hoc tribunal to try suspects or refer them to the International Criminal Court in the Hague. The Security Council should also impose an arms embargo on Myanmar and targeted sanctions against individuals most responsible for crimes. They blamed the country’s de facto civilian leader, Nobel Peace Prize winner Aung San Suu Kyi, for failing to use her ”moral authority” to protect civilians. 11. 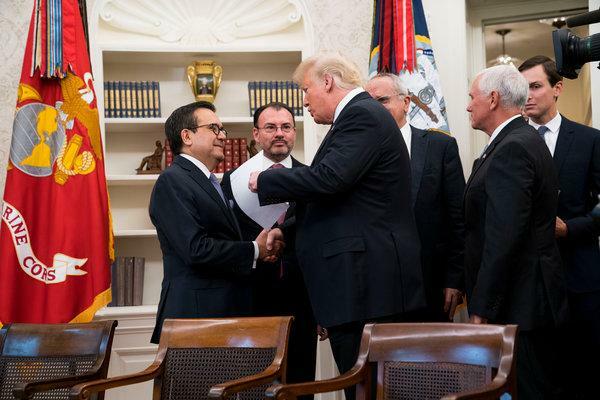 The United States and Mexico reached a deal on Monday to replace the North American Free Trade Agreement (NAFTA) and talks with Canada were expected to begin immediately in the hopes of reaching a final pact by Friday, a senior U.S. trade official said. The U.S.-Mexico deal would require 75% of auto content to be made in the U.S. and Mexico, up from the current level of 62.5%. 12. The Centre has opened up the post of MD and CEO in Bengaluru-based Canara Bank to private sector candidates. 13. eMudhra is a licensed Indian certifying authority that issues digital signature certificates. Neeraj Chopra, gold, men’s javelin. Dharun Ayyasamy, silver, men’s 400m hurdles. Sudha Singh, silver, 3,000m steeplechase. Neena Varakil, silver, women’s long jump. Saina Nehwal, bronze, women’s badminton. 16. Scientists have identified a potential universal influenza vaccine that could protect people against most strains of the virus. The candidate vaccine, described in the journal Nature Communications, elicited a strong antibody response to a structure on the surface of flu viruses, called the hemagglutinin (HA) stalk. It has the potential to be developed into a universal flu vaccine, which could be given a few times over a lifetime to provide protection. 17. Internet search engine Google on Monday dedicated a doodle to cricketing great Donald George Bradman on his 110th birth anniversary. The doodle displays an animated image of Bradman, who played 52 Tests amassing scoring 6,996 runs at an unmatched average of 99.94, playing a shot with. The Australian legend is considered to be one of the greatest batsmen ever. Meaning 1 – Stay in a place longer than necessary because of a reluctance to leave. Meaning 1.2 – Be slow to disappear or die. Get the latest news headlines and current affairs everyday. To prepare yourself for all competitive exams with The Tutors Academy.